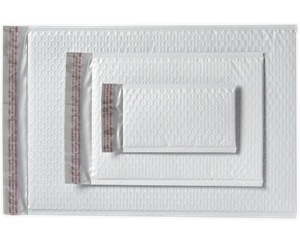 A bubble-wrap lining protects sensitive objects like CD's, DVD's, books, jewelry and pharmaceuticals. Durable polypropylene plastic exterior resists moisture. A bottom fold and strong side heat seals provide superior bursting strength. 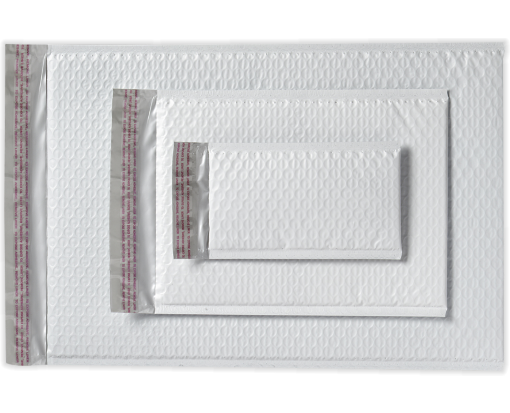 Strong, tamper-evident Peel & Seal&reg; in 10 sizes. Professional grade protection provided by the interior bubble film demands an equally professional look outside. The exterior is bright white plastic film, fresh and clean looking. It accepts moistened or self-stick labels or marking pen.